There are so many wonderful moments that you will want to treasure on your wedding day, but how will you capture them all while making sure all of your guests have a good time? You and your new spouse will rightfully be the centre of attention on your big day, but we understand that you don’t want this to be at the expense of your guests having a great time too. If you have a large guest list it can really be a struggle to get to speak to everyone once the celebrations are in full swing, but with a photo booth you can let your guests speak to you. Rather than a note in a traditional hand-written guest book, your guests can leave you a personal video message which will undoubtedly make them feel closer to you and part of your celebration. Your wedding photographer will take as many group shots as they possibly can during the day but they can’t be everywhere and so a photo booth is always a welcome addition to weddings as a space for your guests to go and enjoy the party. Our photo booth will snap away, never missing a thing and the instantly printed photographs will leave a beautiful reminder of your special day for you to look back on for years to come. Your wedding photographer will have organised the more formal group photographs during the day, but this can often mean lots of waiting around for your guests. With a photob ooth they can pick and choose when they go and use it and they will have much more fun sticking on a silly hat and playing around in the photo booth. Your guest’s enjoyment will undoubtedly shine through on camera which is such a heart-warming reminder of what a great day everybody had. Gone are the days when you had to worry about keeping your guests entertained during your wedding reception. Let us take care of setting up and running your photo booth and you can be free to mingle and bask in your newly-wed happiness with your nearest and dearest. 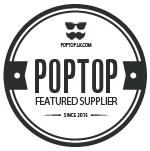 You needn’t worry about a thing, as we will take care of absolutely everything, including showing your guests how to use the booth and assisting them with which props to choose from the prop box. The wedding memories you capture with your photo booth will be just as individual and unique as all of your wonderful friends and family. 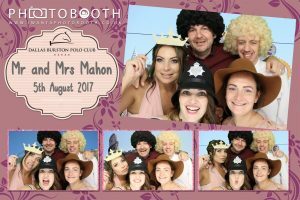 Why not hire a photo booth and make your wedding as extra special as it deserves to be? If you require something a little different, please talk to us. We’re sure we can accommodate your requirements for your photo booth hire.